The Anti-Borax Company was founded in 1902. Today, 100 years later, the fluxes are still used for bronze brazing, cast-iron welding, and other applications used for metal joining in blacksmithing and forge processes. 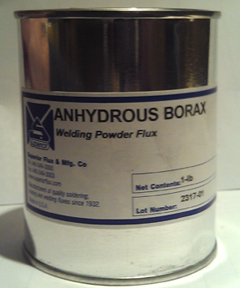 Most of the compounds we offer are under the Anti-Borax brand name.